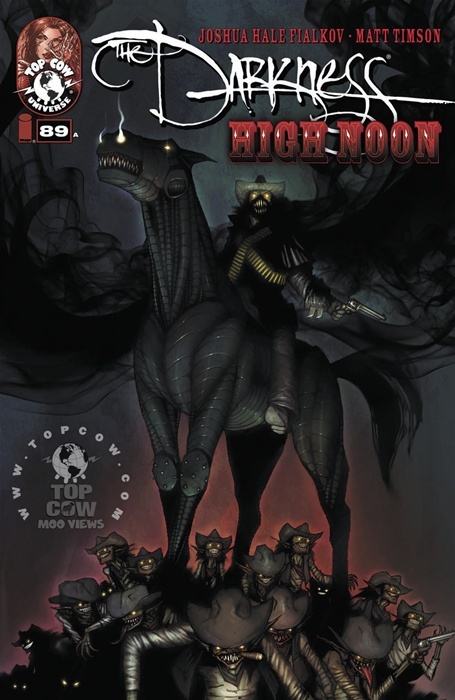 "High Noon" A Tale of The Darkness Special. Ramon Estacado is the worst kinda outlaw. 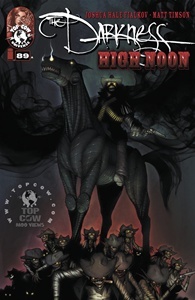 He cain't be killed, his gang is a buncha Darklings and he has his sights set on a train fulla federal gold. When his old gang shows up with new demonic powers and an even more powerful grudge, will Ramon embrace the light and change his ways? Ain't likely. Joshua Hale Fialkov (Echoes, Tumor) and Matt Timson (Impaler, Popgun) ride together to bring you a tale of outlaws, double-cross and great big exploding trains.